A 19-year-old Israeli paralympic swimmer set a new record in the 1,500 meters. 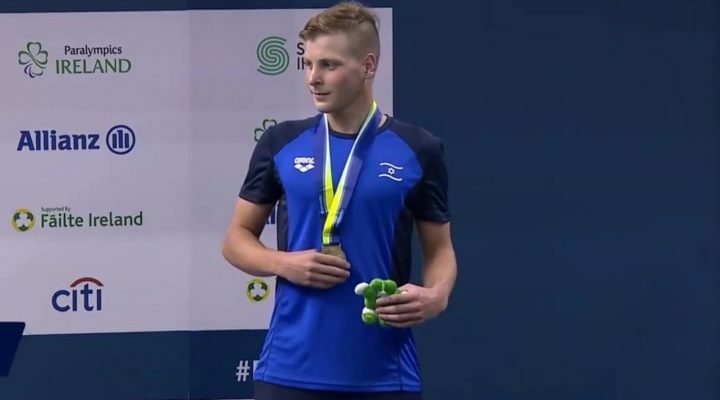 Mark Malyar, 19, an Israeli paralympic swimmer, set a new world record for 1,500 meters in paralympic swimming with a time of 19:27.26, Haaretz reports. Malyar made his record-breaking swim at the Wingate open competition, besting the world record set in 2011 by almost 23 seconds. Malyar suffers from cerebral palsy. Malyar, 18, won a silver medal in the men’s 400-meter freestyle and two bronze medals in the men’s 100-meter breaststroke and 100-meter backstroke at the European Para Swimming Championships last year when he was only 18.